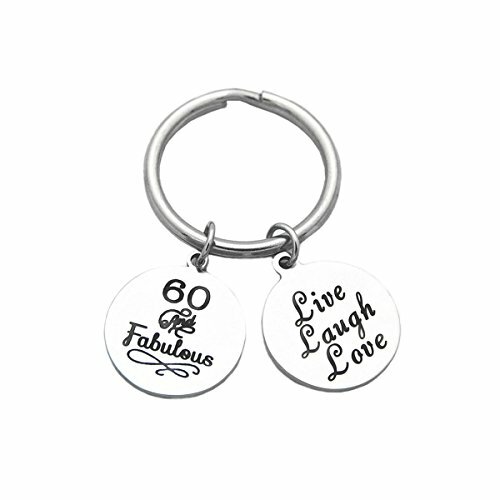 ♥ Perfect Birthday Gift Key Ring: 30th Dream Big, 40th Dream Believe Achieve, 50th The best is yet to come, 60th Live Laugh Love. ♥ Products Material: High Polished Stainless Steel Material, Not Fade. ♥ Size of the Products: Key Ring is about 3 CM, And the Charms are About 2 CM. ♥ Packing: With Card And Velvet Bag Packing, Ready for Gift. ♥ If you have any question or comments about our products, please feel free to contact us. ♥ Birthday Gift for Family Numbers: Mom, Grandma, Dad, Grandpa, Uncle, Aunt, Step-Father.. If you have any questions about this product by ODLADM, contact us by completing and submitting the form below. If you are looking for a specif part number, please include it with your message.